The Prosecutor’ Office asked for a three (3) months jail sentence fully suspended with a probation period of two (2) years, deprivation of the right to vote as well as the right to be elected and 200 hours of community service against R.H. (62) during the court hearing on August 31, 2016 in the investigation involving buying and selling of votes on behalf of the United People’s (UP) party during the September 17, 2010 election, called “Masbangu”. R.H. is accused of buying votes (mediating in the sale) while three other suspects, (former) officers of the then-Police Force of St. Maarten, St. Eustatius and Saba (KPSM) and of the Voluntary Corps of St. Maarten (VKS), R.C.H.J. (65), C.J.L.C. (47) and A.R.W.M. (45) are accused of selling their votes. Against the suspects R.C.H.J. and A.R.W.M. the Prosecutor’s Office demanded a three (3) months jail sentence fully suspended with a probation period of two (2) years, deprivation of the right to vote and 150 hours of community service while for C.J.L.C. the Prosecutor’s Office asked a jail sentence of three (3) months fully suspended with a probation period of two (2) years, deprivation of the right to vote and 180 hours of community service . 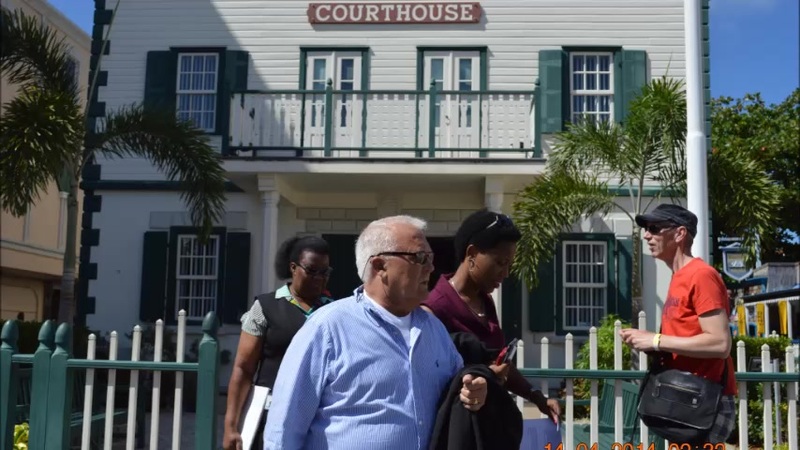 The prosecutor said during the hearing that vote buying is punishable under Article 2:44 of the Penal Code of Sint Maarten (previously article 132 of the Penal Code of the Netherlands Antilles) and that recently the penalization has been increased to imprisonment of two years. Solely because of the lengthy duration of the Masbangu investigation the Prosecutor’s Office decided to deviate from this and ask for fully suspended jail sentences. The prosecutor also stated that it is possible that a person convicted of bribery can be deprived of certain rights such as the right to vote or to be elected. Furthermore the prosecutor said that to prove bribery it is sufficient that parties agree on not voting or voting in a particular way by accepting a gift or a promise. Both the person making the gift or promise as the one who accepts the offer are punishable. That afterwards the gift or promise is not redeemed or that the actual voting occurs differently than agreed upon, does not matter.